Most of us are not at our best in the morning. It is very hard to wake up and get going while we’re still half asleep, yawning, and trying to clear our heads. But mornings are something that should be made the most of. Every minute is valuable and should be used properly. Here are 5 rituals by highly successful people, who know how to have productive mornings. You will save at least 20 minutes every morning by following these techniques. You should never wake up not knowing what your need to do that day. Waking up without a specific to-do list, you will waste your entire morning trying to figure it out, rather than just doing it. Taking a few minutes the night before can save you a ton of time the next day. Even if you have a flexible job where you can decide your own hours, it is important to use that freedom wisely. Sometimes you might need a little extra sleep, which is completely understandable. However, your performance can be hurt by having disruptions in your schedule. In order to be seriously productive, it is important to start your day at the same time every day. Our bodies like routines and will thank you. Unless you know an urgent email is waiting for you, then ignore your inbox in the morning. There is absolutely no reason to check it in the morning. Emails a huge morning distraction and will take up your precious time. They also fill your head with worries throughout the entire day and take you away from focusing on your other tasks. Everyone is different. Some people are most creative in the morning, while others later at night. But whatever you do best in the morning, do in the morning. For example, if your creative thinking is not so strong in the morning, however, you are fast and concentrated in the morning, do those tasks during the morning hours, and save other kinds of tasks that require more critical and creative thinking for later. And of course, the opposite goes as well. Whatever you do, however, do not waste your valuable morning time pushing yourself to complete tasks that just aren’t suitable for your kind of morning. Many people cannot start their day without a big breakfast, which is great. However, there are others that find that breakfast makes them slower and weighed down. 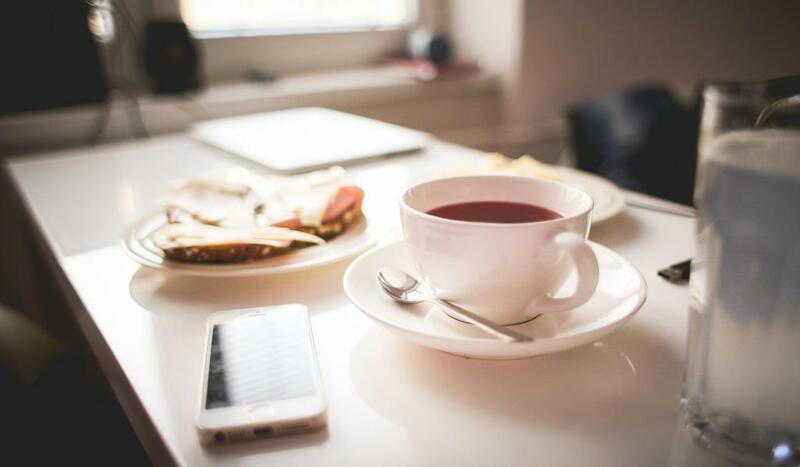 It can be very beneficial to do some work first thing when you wake up, and then, later on, reward yourself for accomplishing tasks with a delicious breakfast. Having snacks throughout the day is also a great way to reward yourself for being productive. Because who doesn’t like food?